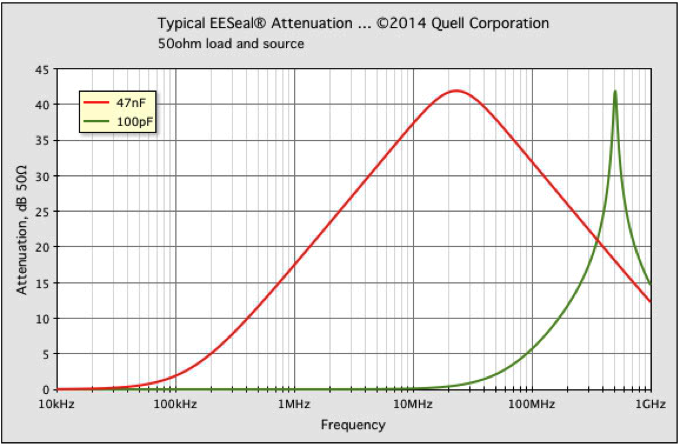 Quell Corporation EMI engineers will be happy to work with you to solve your EMI problems. Contact us today by phone or email — it’s easy and you won’t be sorry. 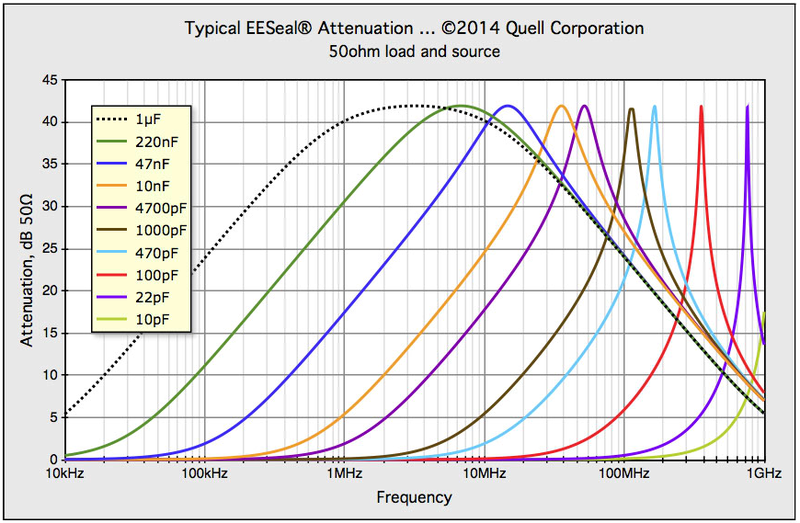 First, we will determine what EESeal® EMI Filter Insert design is right for you. Then, we will gladly provide you with a free sample. We can usually develop, build and ship FREE custom samples within a day or two of your RUSH request. We believe you will see this is a much better solution to the pricy and bulky EMI Filter Connectors, EMI filter adapters, and other EMI filters of the past. 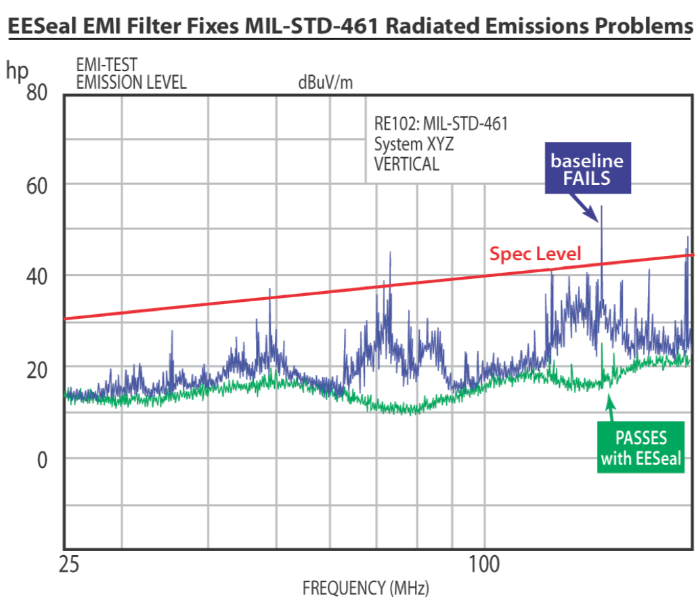 So why leave your EMI test with a failure on your mind when we can usually fix it immediately? We manufacture EESeal® FilterSeal EMI Filter Inserts for a wide range of MIL-SPEC (Military Specification), commercial and custom connectors, including MIL-C-38999, MIL-C-26482, MIL-C-5015, MIL-C-83723, ARINC, Lemo, MDM, DSubminiature and custom connectors too. Please request a free custom sample and you’ll have an EESeal® in your hands within just a few days. Some connectors have room to put two or more components from one or more pins to the connector shell or even other pins. Here is an example of the typical attenuation from a 47nF capacitor in parallel with a 100pF capacitor from a pin to the connector shell.